It’s snowing today here in central Minnesota. This is not unusual for us. We could get approximately a foot of snow by the time it’s all said and done. It’s certainly not as much as our compatriots on the east coast, but still enough to slow life down. I have a good friend that I have known since college. He and his wife are two of my closest friends on the planet. Once, when we were younger, I remember him looking at me and saying, “That’s the problem with Mother Nature, she always wins.”. It’s true. There is no fair fight with Mother N.
So. we are forced to stay in our homes, baking, eating, and napping. I’ve spent most of the day on my computer, writing, submitting writing, editing writing, deleting bad writing, and listening to the radio. Once I got through my fledgling portfolio, rereading the new stuff and eliminating the really old and awful, I decided to take look at this blog I have created. I went through a few things, deleted some drafts of ideas that were clearly not going to make it, and looked at my categories. I have a music category. I suppose everyone has a music category. As I was listening to the radio, one of my favorite song writers/singers played through the ear-buds. 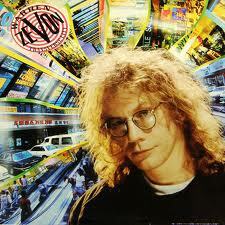 Warren Zevon received so little air play when he was alive. He was, in my arrogant yet uneducated opinion, one of the most brilliant musicians of my generation. I use to secretly judge people who didn’t know him. I’ve lightened up in my old age. I now leave that indignation to my son Alex. He has taken over my arrogant anger of music. So as I was going through my blog and listening to the radio, and I realized I hadn’t posted one Warren Zevon song to my music category NOT ONE. I couldn’t believe it. So here is one of my favorites, and coincidentally the one I heard today. It was a sad day when he passed. He fought hard, but like I said earlier, there is no fair fight with Mother N.
With respect and awe Warren, I can’t wait to see you on the other side.